Congrats to Faculty of Extension associate professor and CRSC affiliated researcher Dr. Mary Beckie on her contribution to the new book, Scaling Up: The Convergence of Social Economy and Sustainability. Many of society’s conventional industries, including agriculture, housing, transportation, and tourism, currently operate in a way that is harmful to our environment and result in hidden social and economic costs for urban and rural communities. 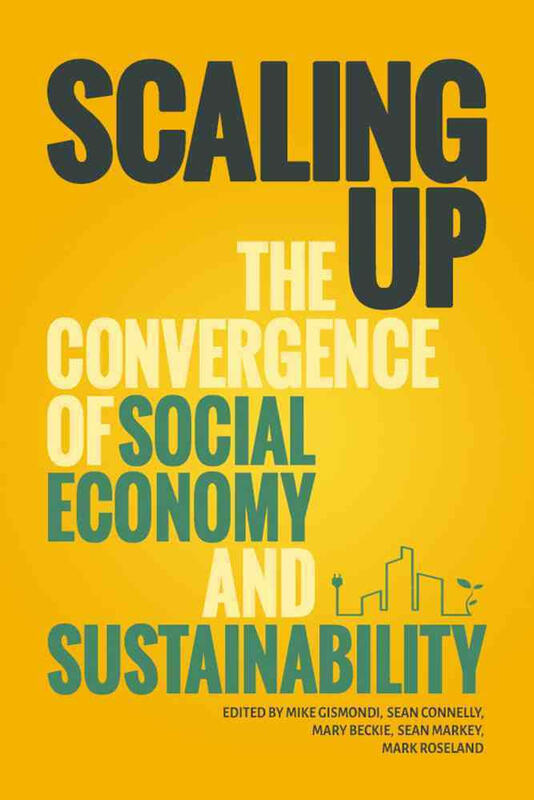 The collection of essays in Scaling Up explores how community-based, social economy initiatives offer alternatives to the dominant capitalist system by responding to human needs in more socially just and environmentally responsible ways. In addition to co-authoring one of the essays, “The Role of Social Economy in Scaling Up Alternative Food Initiatives”, Dr. Beckie was co-editor of the book, alongside Mike Gismondi from Athabasca University, Sean Connelly from University of Otago, Sean Markey from Simon Fraser University, and Mark Roseland from Simon Fraser University. When citizens take collaborative action to meet the needs of their community, they are participating in the social economy. Co-operatives, community-based social services, local non-profit organizations, and charitable foundations are all examples of social economies that emphasize mutual benefit rather than the accumulation of profit. While such groups often participate in market-based activities to achieve their goals, they also pose an alternative to the capitalist market economy. Contributors to Scaling Up investigated innovative social economies in British Columbia and Alberta and discovered that achieving a social good through collective, grassroots enterprise resulted in a sustainable way of satisfying human needs that was also, by extension, environmentally responsible. As these case studies illustrate, organizations that are capable of harnessing the power of a social economy generally demonstrate a commitment to three outcomes: greater social justice, financial self-sufficiency, and environmental sustainability. Within the matrix of these three allied principles lie new strategic directions for the politics of sustainability. Whether they were examining attainable and affordable housing initiatives, co-operative approaches to the provision of social services, local credit unions, farmers’ markets, or community-owned power companies, the contributors found social economies providing solutions based on reciprocity and an understanding of how parts function within the whole — an understanding that is essential to sustainability. In these locally defined and controlled, democratically operated organizations we see possibilities for a more human economy that is capable of transforming the very social and technical systems that make our current way of life unsustainable. Learn more about Mary’s co-editors, read PDF excerpts, or purchase your own copy of the book on the Athabasca University Press website.